best quality and value for money in Birmingham!! hands down!! The food is always hot and tasty. The staff are always well mannered. Delivered on time with well mannered drivers. Better then any Pizza Hut or dominos, by far. Best pizza in Brum, standard!! I will simply just say how it is!! This is the best pizza, best sides, best reception you will get in Birmingham. The delivery drivers are professionals and polite, on the whole, an amazing all rounder, you cannot go wrong here!! Was delivered within 25 mins to the 45 stated. Special instructions adhered to. Best pizzas in southside and further, well cooked food, delivered quickly and professionally and always hot on arrival, these guys go above and beyond!! Never go anywhere else for quality pizza, the menu itself is just as good, can't go wrong with these guys!! A1 services and food!! Golden fries, fluffy warm burger bun and crispy chicken burger. Delightful! Seriously, these are the best fries you can get anywhere in the city centre. 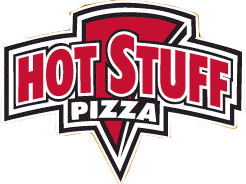 I have been using this pizza restaurant for at least a year now and the food is very nice. Great pizzas , I loved them! Oh my, this week you've outdone yourselves! Golden crispy fries, fluffy burger bun and tender white chicken. The pizza is excellent as always. Thank you!